The company started in the field of servicing cutting tools in 1998. After the very beginnings, MASAM s.r.o. was founded in 2001. Its primary focus was servicing cutting tools. 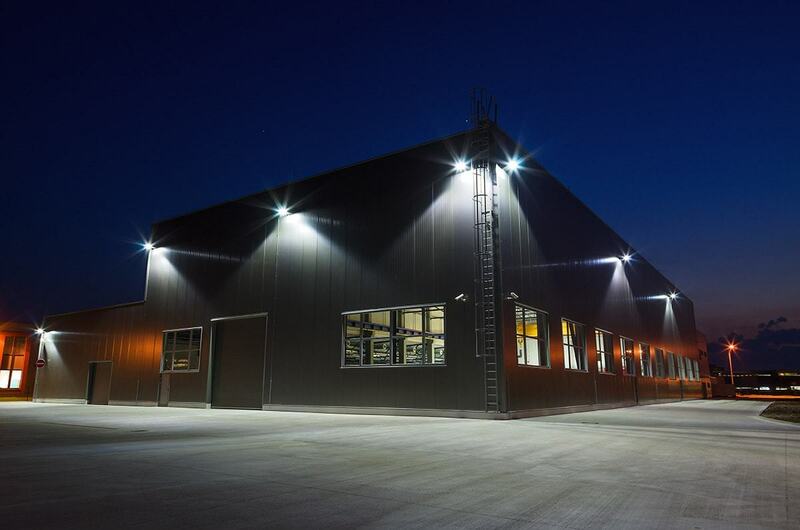 In a short period requirements and customer expectations increased, and consequently it was necessary to reconsider the focus and plans for the future in terms of investment and development of the company. Between the years 2001 and 2006 the company invested in development through the purchase of new CNC technologies, which allowed us to provide not only services but also the production of cutting tools. This has resulted in the expansion of our production. We supplemented technology, construction, entry and exit checks. For full qualitatively managed processes in the company, during this period we introduced an information management system and certification according to ISO 9001:2008. In 2006, the entire company moved into the newly built premises. Since 2006 the company has experienced the next period of development and expansion. First there was just an idea of expanding the company with the chip machining and tool room. We were able to test the cutting tools we produced and, of course, also use them for our chip machining needs. 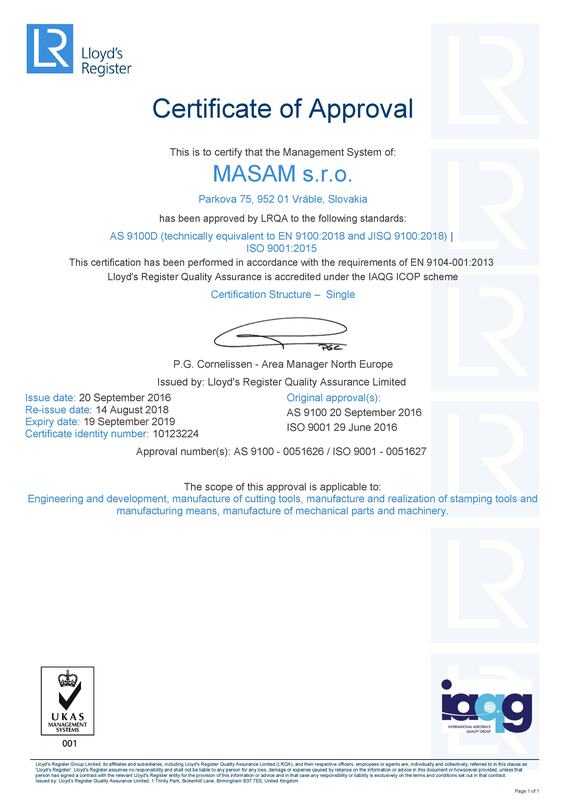 During the years 2006 – 2009 it was decided to extend MASAM s.r.o. by two divisions: The Manufacture and Sharpening of Cutting Tools Division and the Chip Machining, Tool Room Division. We started expanding our commercial department, aimed at discovering new markets and new customers for both divisions. 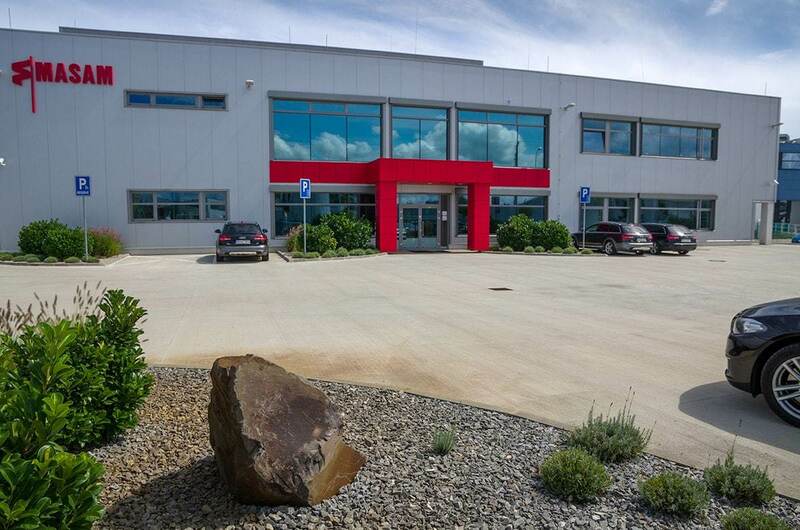 In 2013, the new manufacturing plant in the Vráble industrial park was completed. It is a modern hall, which offers the perfect base for further development. Our goal is to have the most modern machinery permitting us to meet the most demanding requirements of our customers. The construction of the new factory in the industrial park began. 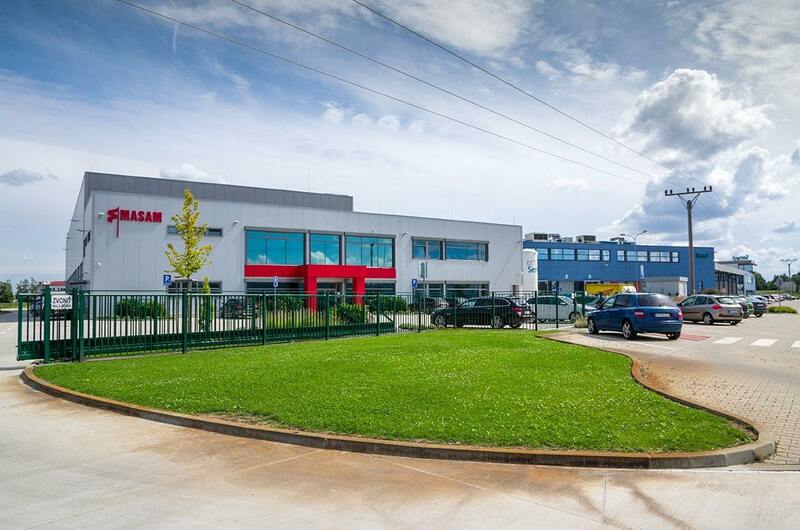 MASAM became the only Slovak company to find its place among the foreign companies in the industrial park in Vráble. Investment in new technologies through a subsidy scheme. Besides, involvement in the automotive sector, the company adopted new challenges and began focusing on the aviation industry. Start of the cooperation with schools within the dual education system. The company has planned additional investment in technology through the subsidy scheme. Its aim is to achieve the utmost high quality to meet the most demanding requirements of customers and keep ahead of the competition. 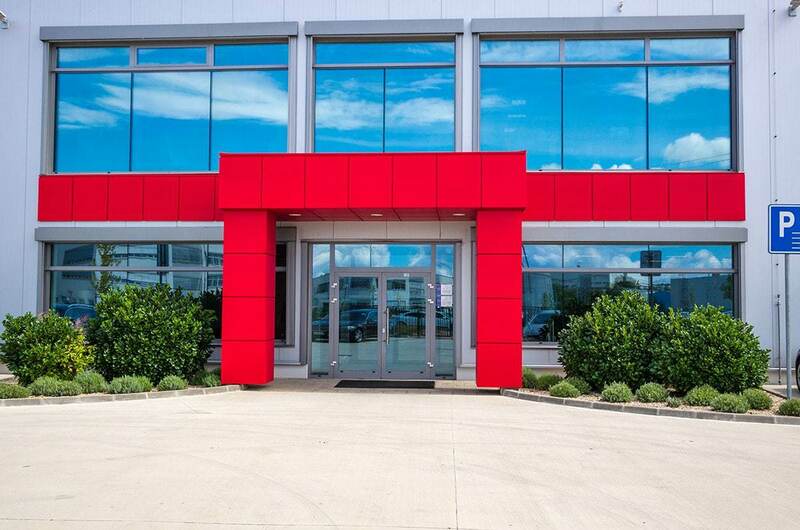 Successful completion of construction, moving to the new premises and the creation of two divisions: Manufacture and Sharpening of Cutting Tools and the Chip Machining, Tool Room Division. Supplementing of necessary components and expansion of production by more than hundred percent. 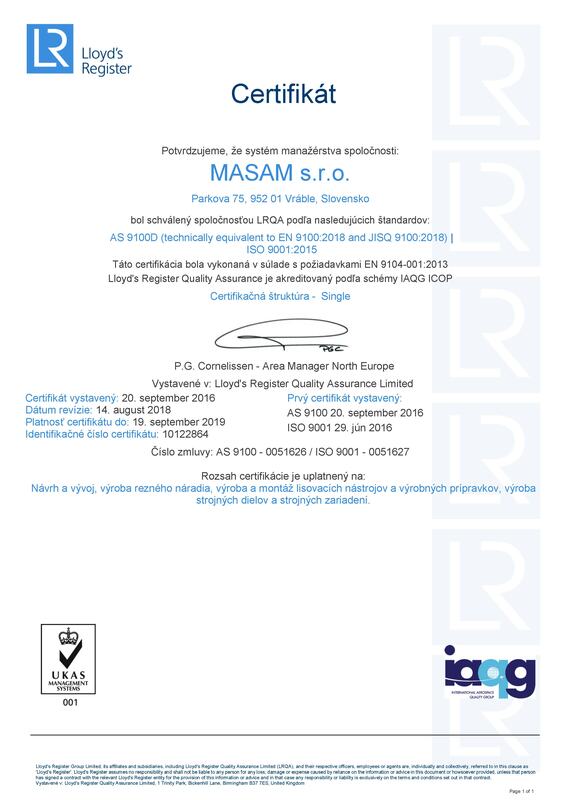 Completion of the certification process according to ISO EN 9100: 2009, registration of the company into the list of IAQG contractors for the aviation industry and space program. The company has the most modern machinery necessary in the specific line of business. It employs highly qualified personnel at all levels. Planned investment in technological equipment and the expansion of other production areas. Expansion of cooperation with Airbus and Latecoere in the aviation industry and other partners in this area. MASAM is interested in the Russian market and the establishment of partnerships with Russian companies involved in aviation.